The 49ers are expected to release wide receiver Stevie Johnson on Wednesday, but both sides are keeping the door open for a possible return at a reduced salary, a source told Matt Maiocco of CSN BayArea. With the release of Johnson, the 49ers will clear an immediate salary-cap savings of $6.025 million – the amount Johnson was scheduled to make in 2015. There is no “dead money” involved in the transaction because Johnson was acquired last year in a trade from the Buffalo Bills. The 49ers have expressed an interest in re-signing Johnson at a lower salary. However, Johnson will become available to any team as a free agent once he is officially released. 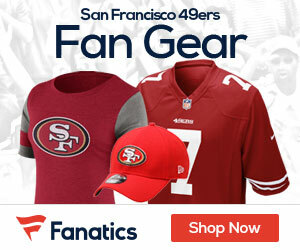 The 49ers on Tuesday signed free-agent wide receiver Torrey Smith to a reported five-year, $40 million contract. Smith is expected to replace free-agent Michael Crabtree in the 49ers’ starting lineup and provide the offense with a needed deep threat. The addition of Smith makes Johnson expendable at his scheduled salary. 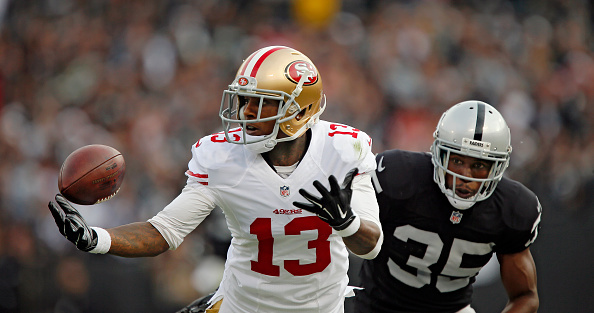 Be the first to comment on "Niners Expected to Release WR Stevie Johnson"